I’ve mentioned a few times over the last week or so that I have been spending a lot of time at my sewing machine. I don’t know about you, but I go in major fits and spurts with sewing. 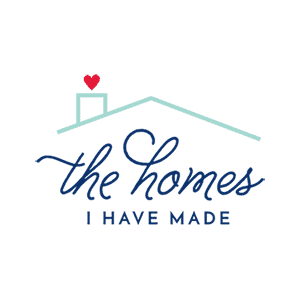 I won’t sew a thing for weeks/months, and then sit down and knock out a bunch of projects in just a week! I’m certainly not the best sewer in the world – I’m pretty much self taught with a few tips and lessons from Mom along the way. But I just love that I can take great fabrics and turn them into something original and fantastic. Some of my favorite projects to make are baby/kid projects – they are small, simple, and you can use really fun fabrics in small doses. What luck that a good friend is expecting a baby in a few short weeks!! I jumped at the chance to make her some homemade goodies in anticipation of his arrival. 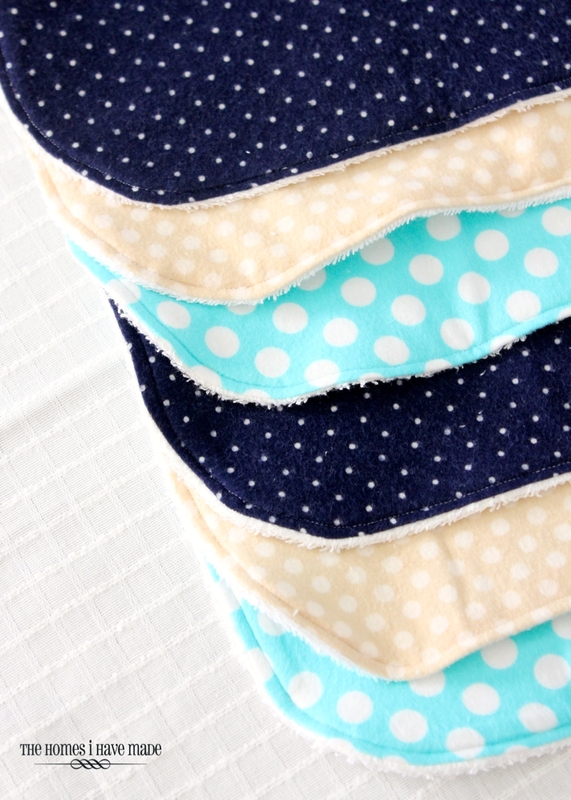 Check out these adorable and oh-so-easy burp cloths I whipped up for her shower! 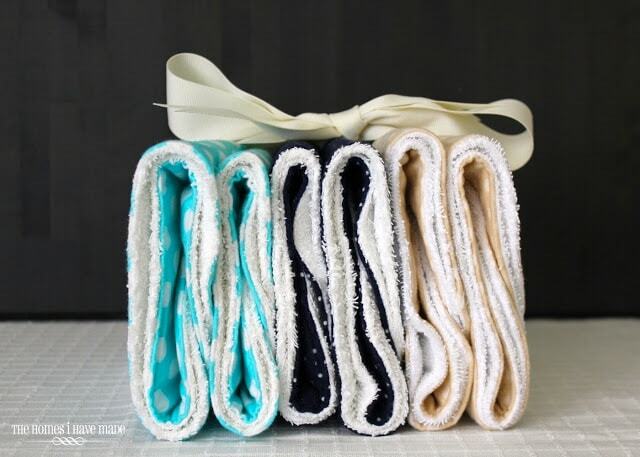 Having now had a baby myself (and road tested a lot of different burp cloth options), I feel like I have a good handle on what makes a “good” burp cloth. 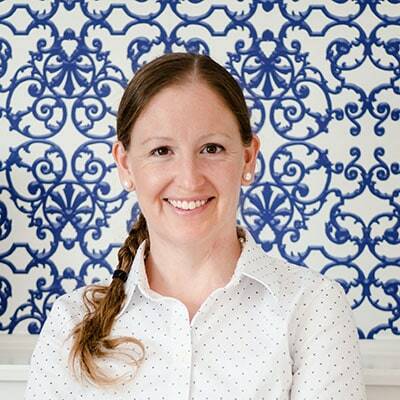 For me – it’s all about good absorbency and hassle free maintenance! I knew exactly what I wanted to make some burp cloths out of: terry and flannel. 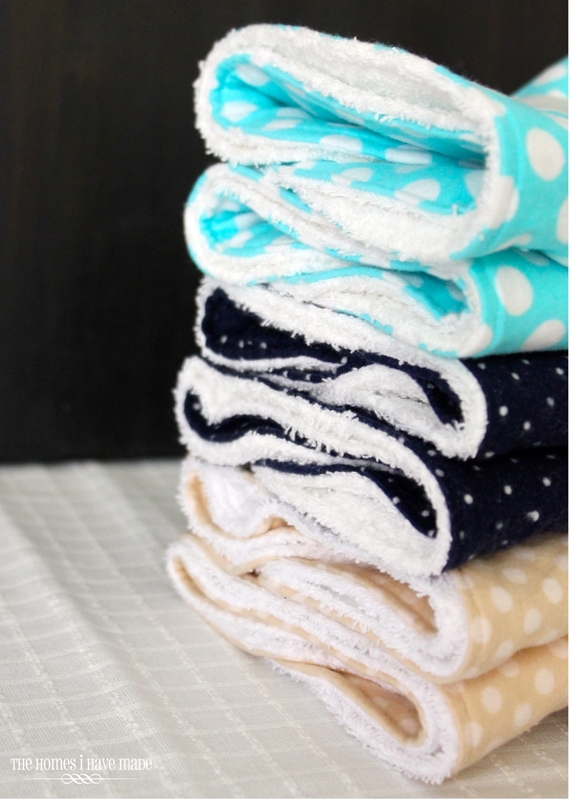 Both soft, both fun, and both super absorbent! 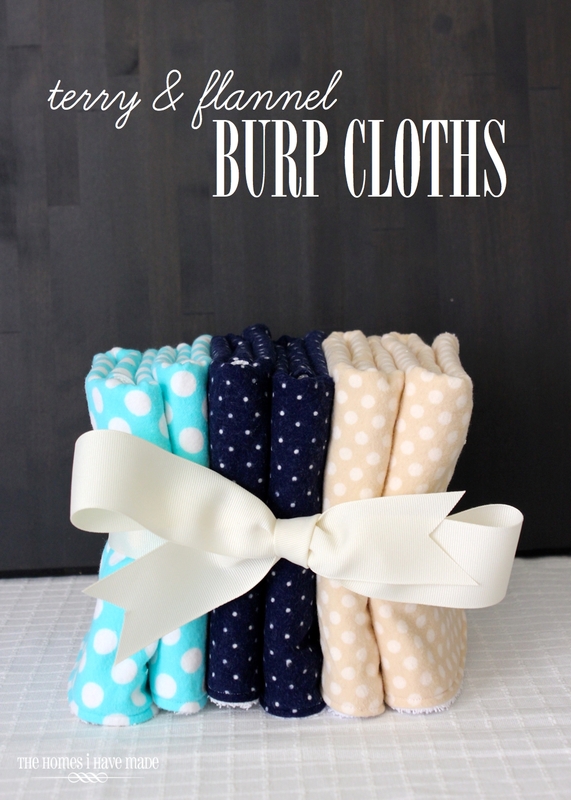 Yup – these burp cloths are reversible! 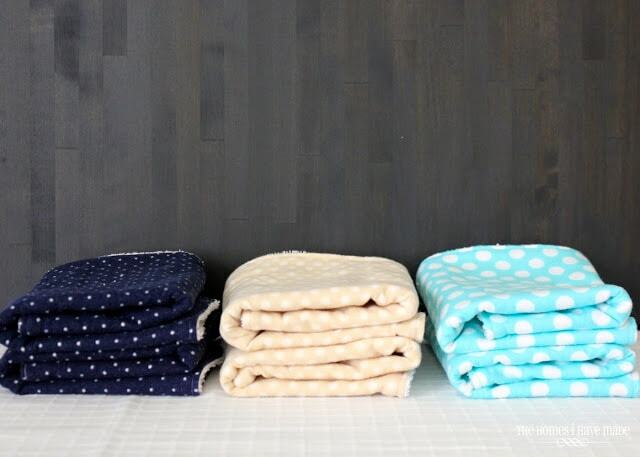 Cute flannel dots on one side and white terry cloth on the other. I kind of made these up as I went along, but they turned out so darling that I wanted to share! 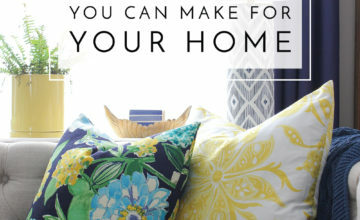 You don’t need a pattern, a ton of sewing skills, or a ton of fabric. 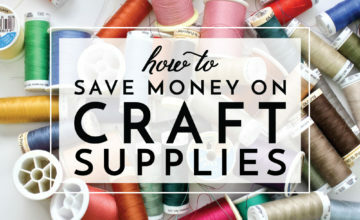 In fact, if your fabric stash is anything like mine, you might be able to make a set using what you’ve got around the house! 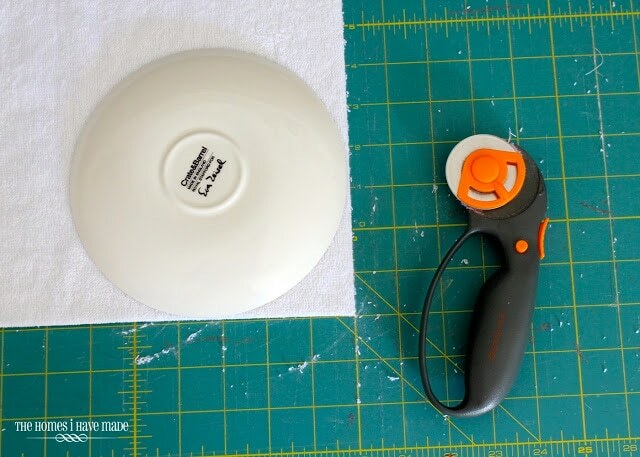 Terry cloth – I buy mine off the bolt from JoAnns or Hancocks. I like that it’s wider and lighter weight than using a towel from a store, making it much easier to sew up just the right size! The burp cloths measure 12×15″ when done, so you can get 6 out of one yard! Flannel prints – My polka dot prints were left over from sewing for my own baby (um…2.5 years ago! ), but you can find a wide range of flannel prints almost anywhere these days! 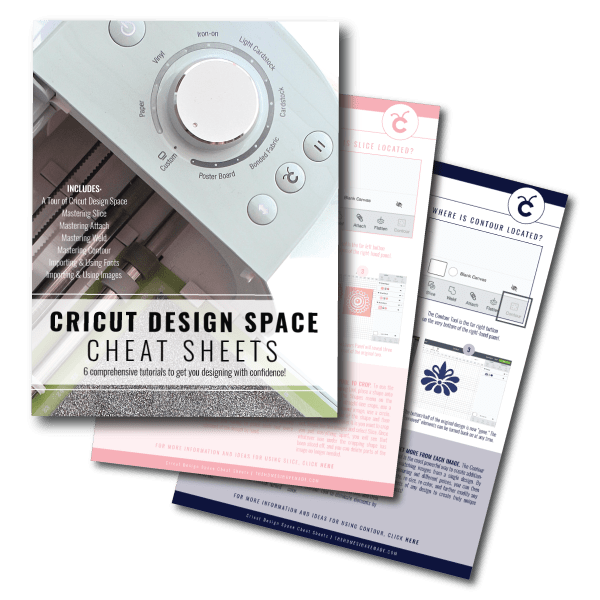 Again, you just need 13×16″ rectangles, so this is a great project to use fat quarters or larger scraps if you have them! 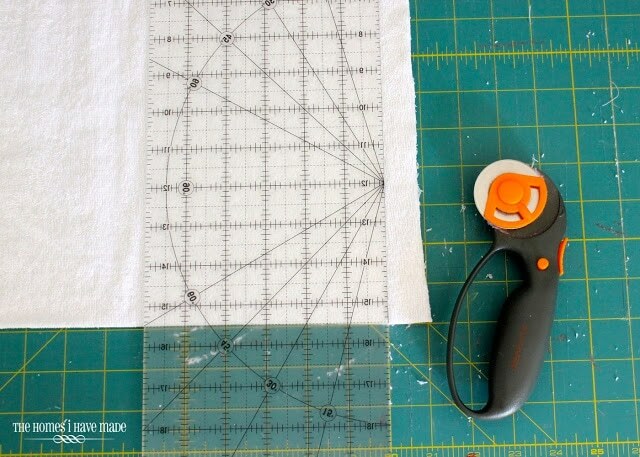 Notions: ruler and rotary cutter, cutting mat, thread, sewing machine, scissors, iron. Next, if you want (this step is optional! ), round off your corners. I used a saucer from the kitchen as a guide! Repeat around all four sides. Next, pin your terry right sides together to your flannel. Here’s a trick I learned back while making the Monster Stuffies. You don’t have to spend the time measuring and cutting the second piece of fabric. 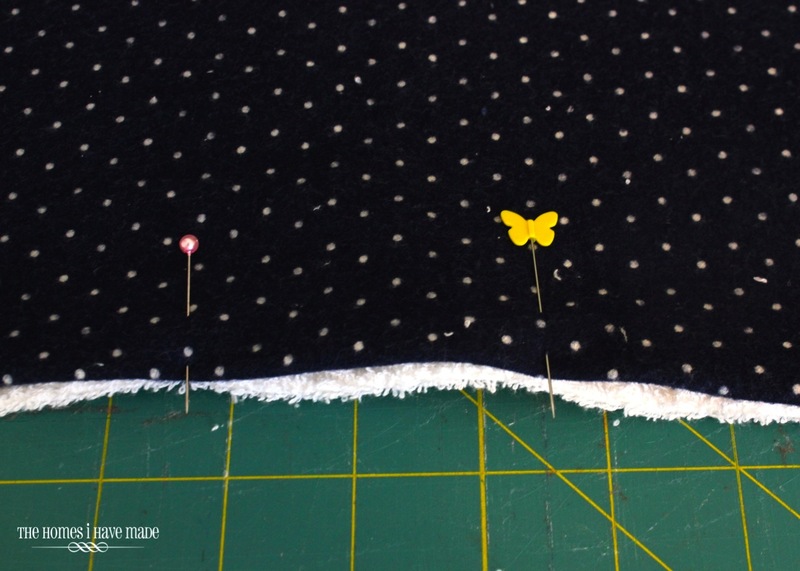 Once your pieces are sewing together, it’s easy just to trim the excess away! AND your guaranteed to have your pieces line up! Next, sew all the way around the terry cloth edge with a 1/2″ seem allowance (bottom left). 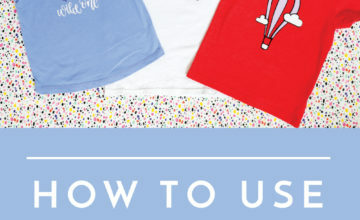 Be sure to leave a 3″ hole open for flipping the cloth right side out. 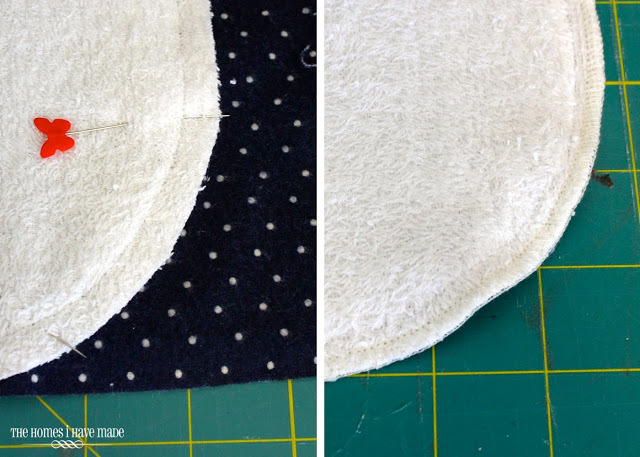 I used my serger to cut and finish the hem for me (bottom right). If you don’t have one or don’t want to use it, just use a scissors to trim away the excess fabric. 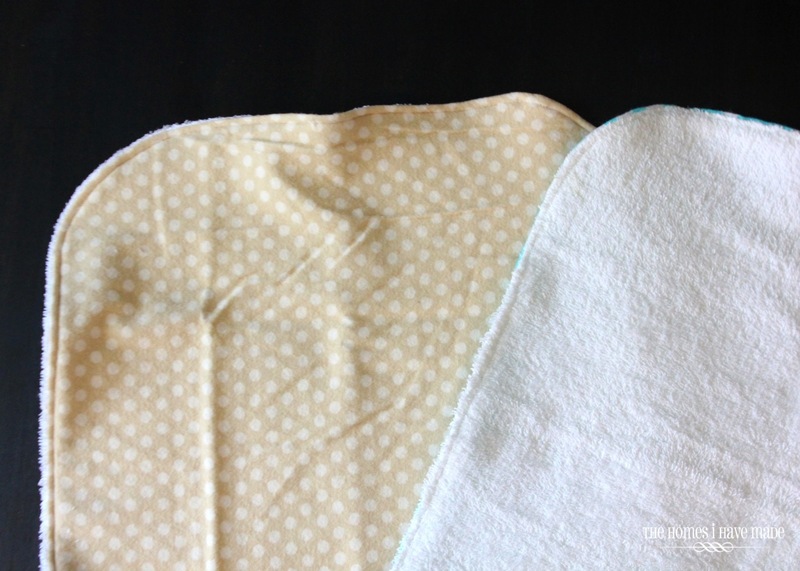 Flip the burp cloth right side out and press flat. 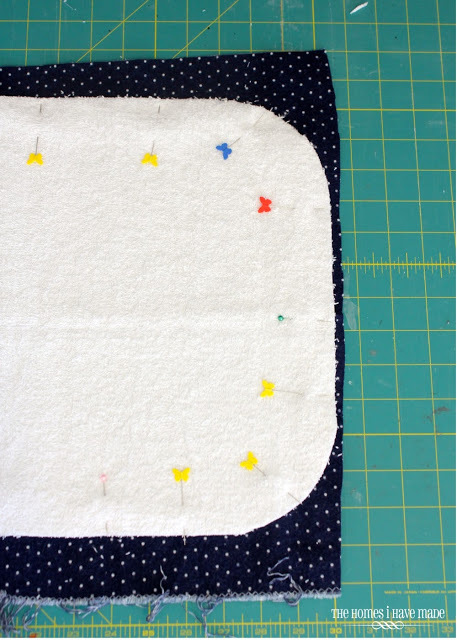 Pin the 3″ opening shut, and then top stitch all the way around the finished cloth. Now make as many as you want or need! 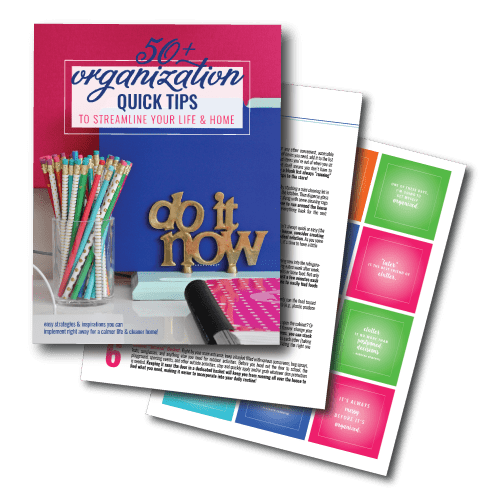 These are really quick and easy to pull together – maybe 10-12 minutes each! 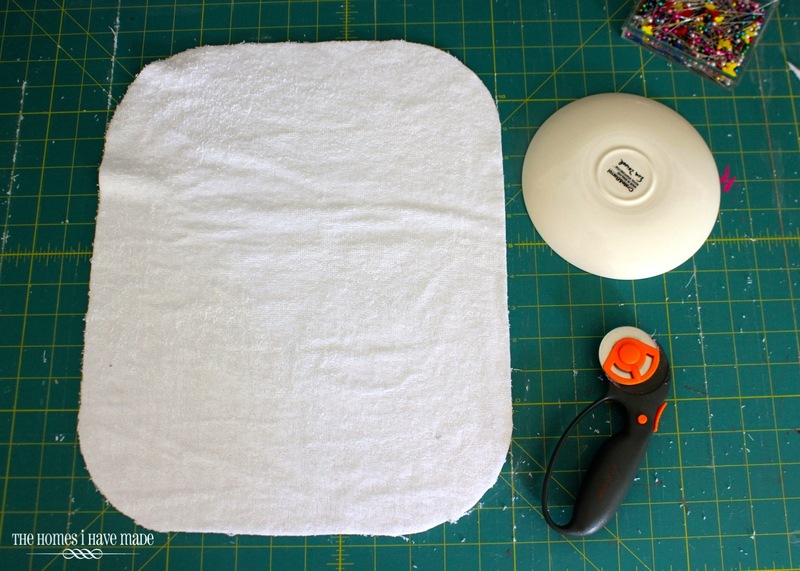 A new baby needs lots of burp cloths, so the more you make, the less laundry for the Mommy! 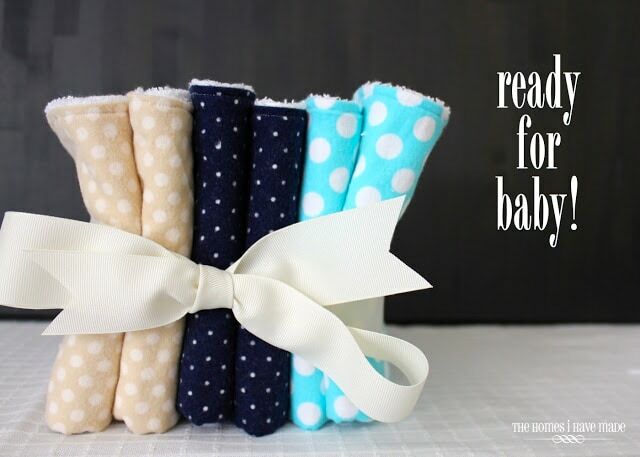 Now just tie them up with a pretty bow, and they’re ready as a perfect shower or “welcome to the world” baby gift! 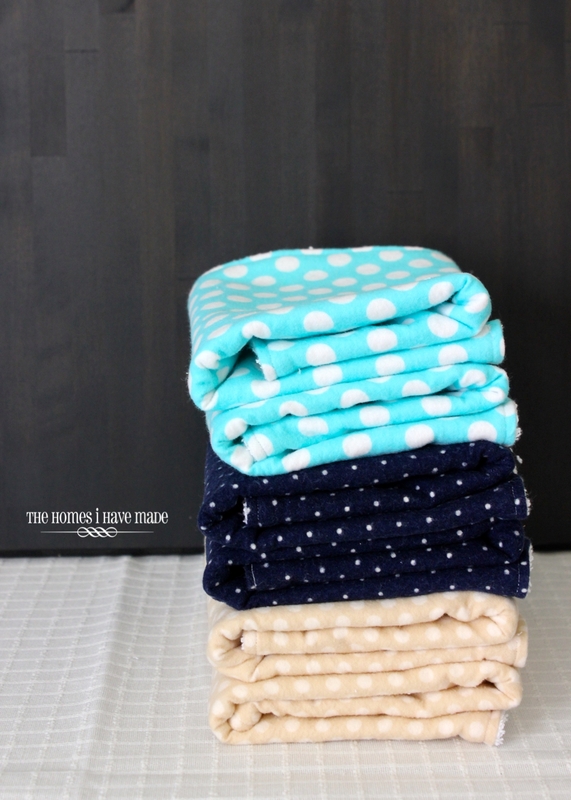 Next week, I’ll show you the other half of this baby gift – a coordinating hooded towel. (Told you I’ve been sewing lots!). 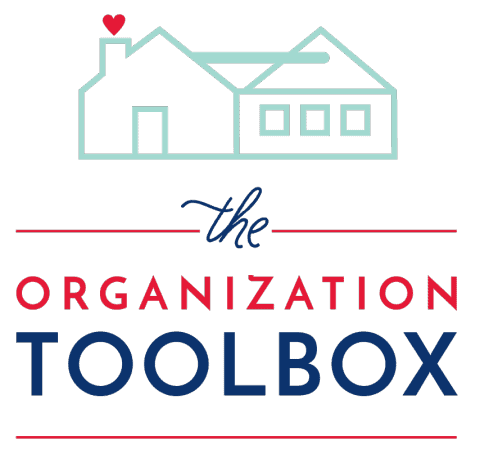 This weekend, we are transitioning our house from Summer to Fall. I have some really fun plans up in my head, so I’ll have an update for you on that too! Big Style in a Small Bathroom!